Now, at least, I have a few more things to say, and I think I am setting myself a new rule: either post immediately after hearing about something new, or wait until the “first look” comes out. If there’s one thing I hate, it’s the monotony of repeating myself. 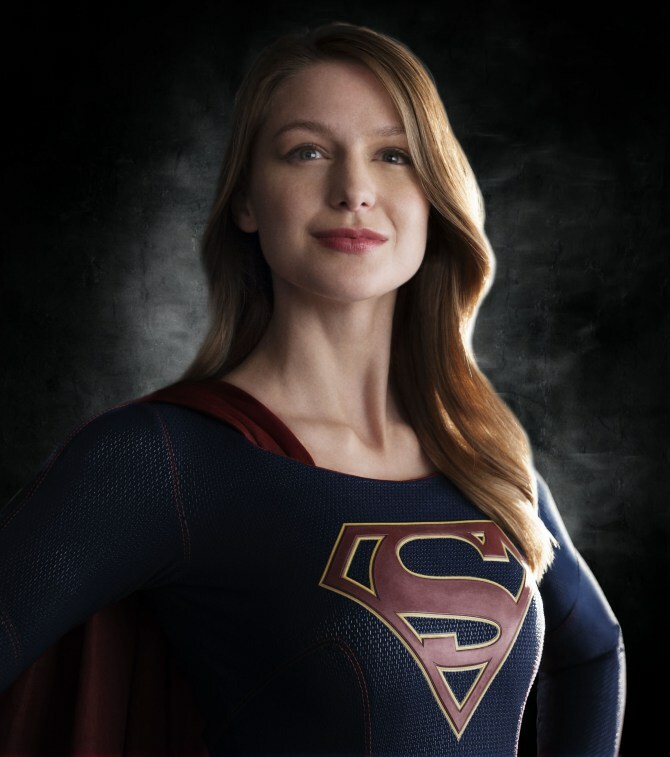 I mentioned Melissa Benoist in particular, and my reservations about her being Supergirl, just because she hasn’t done anything like this before. I officially rescind those concerns. Kara may be a superpowerful alien, but she’s also human, and I believe she brings that out rather well. (I already love that line, “Oh, come on!“) For this version of the character, Melissa Benoist may well be perfect for the role. One example of that humanity is how the very first life Kara fights to save is that of her adopted sister. As Kara, unlike her cousin, was old enough to remember her parents after being sent away from a doomed Krypton, this makes perfect sense to me. Not only does she love her sister, but she remembers what it’s like to lose everyone. So of course she’s going to do whatever she can to save her. Up until that point, she’s been living a fairly normal life, albeit one where she becomes the assistant of media magnet Kat Grant. She’s feeling unfulfilled, and having a cousin who is practically a god among men does not help. But after she saves her sister, and gets a moment, even an anonymous one, in the spotlight, she apparently likes it. And who wouldn’t? She did some real good, and people noticed! Who doesn’t like a moment in the spotlight amidst an otherwise boring life? I gather there’s a bit of experimentation and trial and error, as Kara figures out what she can do and tests her limits, and probably learns that being a superhero is not all flowers and bunnies. Somewhere in all of this, as she helps out a bit every day, she crosses paths with an organization devoted to protecting Earth from extraterrestrial threats. Here, I sense the source of Kara’s more powerful enemies. Which is good, because once she figures out she’s bullet proof and can fly and such, there’s not really that much “courage” needed to take on ordinary, everyday thugs. Plus, one-sided fights get boring after awhile, ya know? So, the premise looks fair, and fun, and they even have an explanation of sorts for the cape, as it apparently, somehow, helps with the aerodynamics of flight. (physics is not why I like these shows) Which addresses my thoughts about her limits and her outfit. Speaking of the fun, as a friend of mine just said (if he will pardon me using his words), one thing that makes a Superman show different from, say, a Batman show, is “how fun and lighthearted it is.” I have to agree with that. 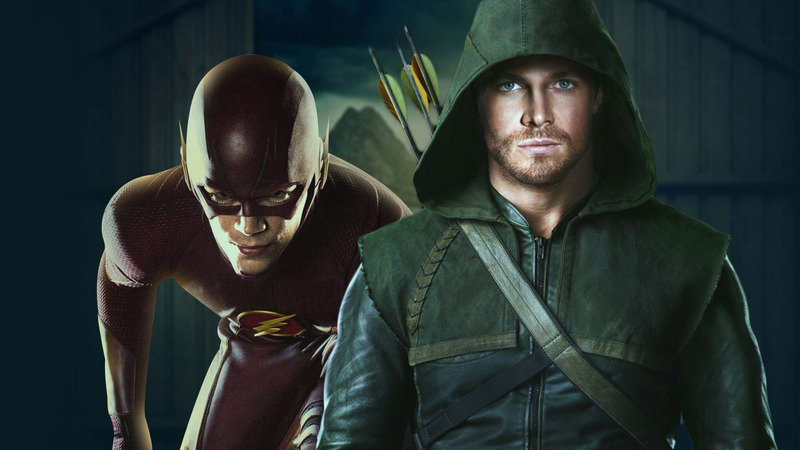 Batman, and the current Arrow show, these are free to be dark and intense. But Supergirl, by association with Superman, and The Flash are free to play around in the light. It’s like Batman once says in the animated Justice League, it was Superman who taught him that justice doesn’t always have to come from the shadows. Now, much like Superman’s ability to be disguised as Clark Kent, there seems to be the usual “Oh, we can’t possibly recognize this mask-less person” going on with Kara. So there’s a few things we will probably notice that won’t really be addressed, but which we can probably forgive. There’s really only one hiccup I see in this trailer. I’m sure it’s more complicated than it looks, but it almost seems like when Kara first offers to help out that anti-alien agency, and they reject her offer, she takes it a little harder than might be warranted. As I say, I’m sure it must be more complicated than that, but still, if she breaks down too easily, I’m not sure that really says “female empowerment,” ya know? I forget who it was who said this, but when a show comes out starring women as the leads, they tend to get put under the microscope by both men and women, and pretty much any move they make is going to be “the wrong move” in someone’s opinion. So, I wish them good luck, and I’m looking forward to the full story behind when Kara gets all weepy. Proper depth, check. As demonstrated by her humanity. Limits, check. With both her developing powers and aliens coming to town, she won’t always have easy fights. Intelligence… not sure yet, but she doesn’t have to be Einstein, so we’ll say “check” for now. Story does not revolve around her love life, check, and yay! All in all, I think this is going to pretty fun! I am not not only still elated about a girl getting to hold her own among the boys, but I’m just psyched for the show itself! They did good with this first look! 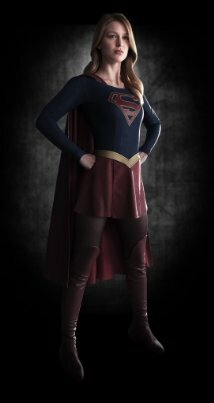 This entry was posted in What's New and tagged Supergirl. Bookmark the permalink. This trailer toned down a lot of my concerns…I feared that the actress looked a little bit too old to play the role of SuperGIRL convincingly, that they wouldn’t be able to do the effects convincingly on a TV budget and that it would end being dark and dreary. Thus said, now I have a whole new set of concerns. I hope I am wrong, but this feels like they are trying a little bit to hard to address feminist concerns. The whole “be proud to be a girl” speech is BS for example, if they had simply acknowledged “yeah, the medial is stupid” I think it would have worked better than basically dismissing concerns like this on screen. I also hope that the immaturity of the character is something which she grows out from with the new responsibility. Can’t really argue there. The whole “girl” thing could have been laughed off, but instead they have this whole speech about it, apparently. (rolls eyes) And yes, I’m thinking she’ll do some maturing over the course of he adventures.